A percentage of entry fees will be retained by the tournament. 2018 Charity Beneficiary – Fish for Holly. The charity donates money to the Domestic Abuse Shelter of the Florida Keys and provides funds for various scholarships to Florida Keys community members who need assistance with education, business, and professional training. Check out – This is not an inlet specific tournament. There will be no visual checkout however, an image of the release card provided at the Captain’s Meeting along with a timepiece showing any time between 7:30 and 8:00 am will be considered checkout. Comms – VHF Channel 82. Backup channel will be 69. Cameras and Procedure – Cameras must start with an image of the release card provided at the Captain’s Meeting along with a timepiece between the times of 7:30AM and 8:00AM (This will be considered checkout). Accepted timepieces are GPS, VHF or Cellular devices. Billfish must be identified via video only. The Fish must be leadered/released safely, then video of the angler holding up the catch card and stating the release number must be provided before next fish is submitted. In the case of a multiple hookup, releasing all fish before stating the release number is permitted. There must be no break from identifying to release of billfish. Camera footage must be dropped off no later than 6:00PM at the designated weigh station. Camera footage becomes property of the tournament. Approved cameras are any with a mini or micro USB card. A cell phone may be used in the case of an emergency. Contact the committee office to notify if a change is being made. Hooking Fish – Each eligible fish entered in this tournament must be hooked and caught by a single angler. No person may hook a fish or assist in hooking a fish then pass a rod to another angler. If multiple strikes occur on separate lines, and if a single angler is capable of hooking and catching more than one of the fish without the assistance of any other person, then each fish may be eligible for entry by such angler subject to the other rules of this tournament. The use of a rod holder to hook a fish is permitted provided that no person other than the angler who ultimately enters the fish touches the rod or reel once the fish is hooked. If the main line or double line is touched by anyone other than the angler, the fish is considered disqualified. Mate can “pop the ring out of the clip” and shake weeds off the main line. Release – A “Release” is official once the mate touches the “Leader” material and cuts the leader. Tipping is not considered a release. In the event a fish is completely wrapped in the leader, the fish will count as a release if it is within touching range of the handle end of a gaff, tagging stick or extendable brush handle. DO NOT GAFF THE FISH!! Final 15 mins – The final 15 minutes of the tournament ALL billfish hookups must be called or radioed in. In addition all video in the final 15 mins must start with a time stamp at hookup to insure the fish was hooked before lines out. Release Cards – Cards must be filled out to match with the confirmation number and time provided by the Release Committee. Incomplete or improperly completed cards may be rejected by the tournament committee. Release cards must be dropped off no later than 6:00PM at any of our designated weight stations. Any cards dropped off after 6:00PM (1800) will be disqualified. Check-In Station – Stake boat in the basin in front of Miami Beach Marina and north side of the fuel dock at Lighthouse Point Marina. Weather – Tournament officials may cancel the tournament day if in their best judgment unsafe conditions exist at sea for the average boat entered. No refunds of any sort will be made for any cause in the event of such cancellation. If the day (or any portion thereof) is “weathered out”, the tournament results will be final based on the results of the official fishing time that can be completed. Notice of cancellation and/or resumption of fishing will be provided via Committee Phone. A determination permitting fishing by tournament officials should not be interpreted to mean that the tournament ensures the safety of any registered angler or occupant of any boat. Anglers must make their own judgments whether to fish under the prevailing weather conditions based on the size and seaworthiness of their boat, their seamanship skills, and any other relevant factors. Committee Office Phone Numbers – In the event of degraded comms the following phone numbers will be open to report catches. Hold Harmless – All registered anglers and non-registered occupants of their boats enter and participate in this tournament voluntarily at their own risk. 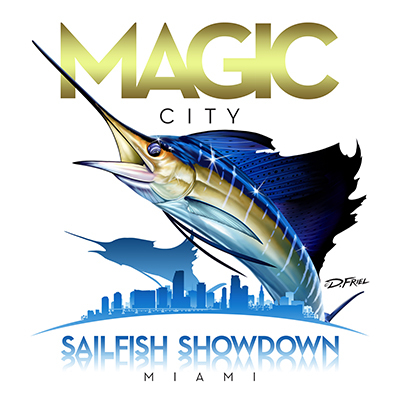 In consideration for the tournament’s acceptance of his or her entry, each angler, for his or her heirs, executors, and administrators, agrees to release, hold harmless and indemnify the Tournament (Ben Sharpe, Nick Carullo), its officers, managers, directors, agents, sponsors, donors, the city and county where the event is held, and all other persons connected directly or indirectly with the operation of the tournament, from and against any and all liabilities, claims, actions, damages, costs, fees or expenses which he or she may have against any above-described party, or which his or her captains, crew members, family members, companions or nonregistered occupants of their boat may have, arising out of or in any way connected with his or her participation in this tournament, including any injury or death suffered by any registered angler, boat captains, crew members, family members, companions or other occupants of any boat, and including any damage to vessels and equipment, which occurs during or in conjunction with the event. Each Angler understands and agrees that this release specifically includes and waives any claims based on libel, slander, negligence, action or inaction of any above-named party.